Imagine that you have discovered land for sale in your favourite part of New Zealand and taken the leap and bought a section. It might be a craggy spot near a high country lake where you love to fish or a bush-clad section in an idyllic bay perfect for family getaways. This is the starting point for your dream holiday or everyday home. Unfortunately that dream can easily turn into a nightmare when you realise how expensive it will be to have hordes of tradespeople travelling out to your site day in and day out to build your new home or bach. A great alternative to this scenario is choosing to build a solid timber kitset home rather than a conventional framed home. 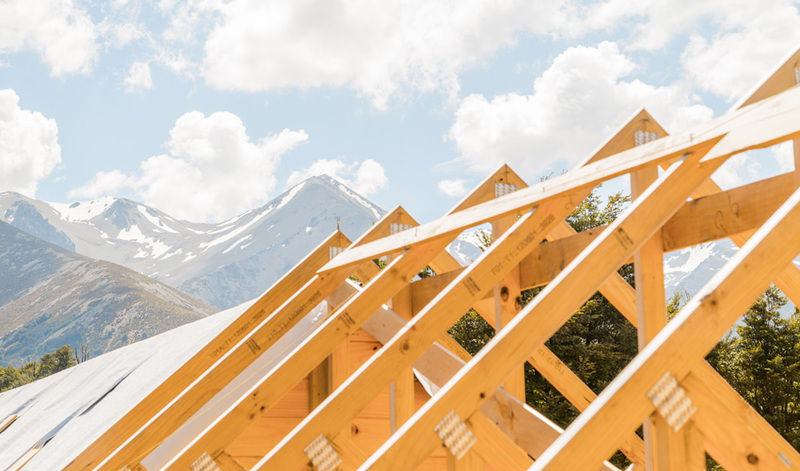 As solid timber kitset homes are constructed using prefabricated components most of the hard work is done in a factory and much less time is therefore required on site to build your new home. Another advantage of choosing a solid timber kitset home is that because the structural components are pre-manufactured all of the measurements are precisely accurate. This means that all of the windows and doors can be ordered off the plans rather than having to wait for the framing to be complete to measure all of the openings on site. The same applies for the kitchen, which can also be pre-ordered based on the plan measurements without the need for a site measurement. Windows and kitchen joinery are the aspects that cause delays in many building projects so it is really beneficial to be able to get these ordered early on to reduce the chances of hold-ups to your build. Plaster and paint needs time to dry between coats, so the interior finishing work is often one of the most time-consuming and difficult to coordinate aspects of building in a remote location. The benefit of choosing a solid timber kitset home is that having solid timber walls rather than conventional GIB board means you eliminate the need for finishing trades such as gib-stopping and painting. So if you are looking to save time, money and stress building a home or bach that is away from a main centre, a solid timber kitset home could be the perfect solution for you. For more information visit our guide to building a kitset home or browse the range of solid timber kitset designs.